The Paint Bucket tool in Photoshop Elements 11 operates much like a combination of the Fill command tool and the Magic Wand tool. It makes a selection based on similarly colored pixels and then immediately fills that selection with color or a pattern. Just like the Magic Wand tool, this tool is used most successfully when you have a limited number of colors. Paint: Select whether to fill with the Foreground color or a Pattern. Pattern: If you select Pattern, select a preset pattern from the drop-down panel. You can also load patterns from pattern libraries or create a pattern of your own. Find more information on patterns in the section “Working with Patterns,” later in this chapter. Opacity: Adjust this value to make the fill more or less transparent. Tolerance: Just as you did with the Magic Wand tool, choose a tolerance level (from 0 to 255) that specifies how similar in color a pixel must be before it’s selected and then filled. Mode: Select a blending mode to change how the fill color interacts with the color below it. Anti-aliasing: Choose this option to smooth the edges between the filled and unfilled areas. Contiguous: If selected, this option selects and fills only pixels that are touching within your selection. If the option is unselected, pixels are selected and filled wherever they lie within your selection and within your tolerance range. 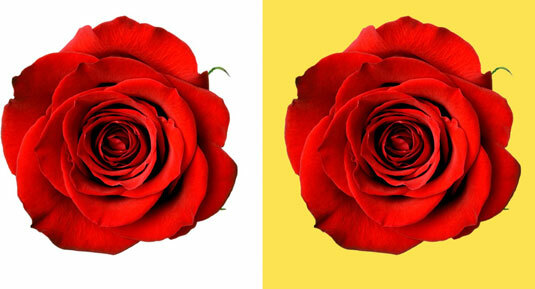 All Layers: This option selects and fills pixels within the selection in all layers that are within the tolerance range. As with other tools that fill, you can prevent the Paint Bucket tool from filling the transparent pixels. Just select the Lock Transparent Pixels icon in the Lock area of the Layers panel.